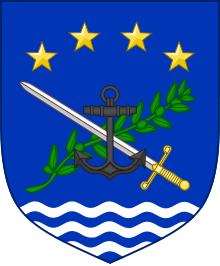 "A force for the EU and Atlantic Alliance"
An intergovernmental, standing army corps with HQ in Strasbourg was created in May 1992, activated in October 1993 and operational in 1995. This is known as the Eurocorps. Five EU Member States participate in the Eurocorps – Belgium, France, Germany, Luxembourg and Spain. Additionally Greece, Poland, Italy and non EU Member State Turkey contribute personnel to the staff. Austria and Finland second staff. 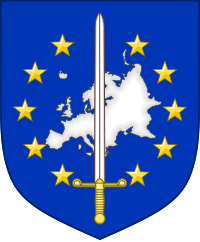 The Eurocorps comprises of 1,000 soldiers stationed at the HQ in Strasbourg. Overall the armed force available to the EU can consist of up to 60,000 troops pledged for deployment in both EU or NATO rapid-response missions. The nucleus of this force is the Franco-German Brigade of 5,000 troops. The Brigade was set up in 1987 and became operational in 1989. It is a mechanised infantry unit. In 1998 at a Franco-British summit in St Malo, the Prime Minister, Tony Blair, reversed opposition to that of support for a European Army of 60,000. In 2009 the Treaty of Strasbourg legalises Eurocorps and tucks it into EU legislation in line with Lisbon Treaty as part of the EU’s Common Security and Defence Policy (CSDP formerly CFSP). 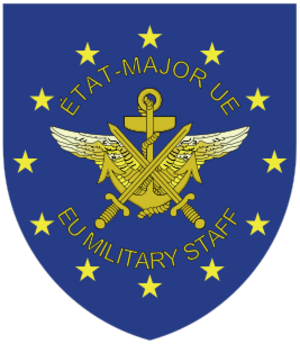 An EU Military Committee of Chiefs of Defence in the EU is responsible to the High Representative for Foreign Affairs as part of the European External Action Service. Since the European Union was first thought of the objective has been to have one currency, one market and one army. It has been Germany who has exerted most pressure in this direction. It was Jacques Delors as Commission President who stated that a European Army was required to fight the resources wars of the 21st century. As the following list of Eurocorps operations indicate it is not a humane force for distributing food and milk powder! January 2003-June 2012 (EUPM) EU Police Mission in Bosnia and Herzegovina. March –December 2003 (EUFOR CONCORDIA) EU Military Operation in Macedonia using NATO facilities. 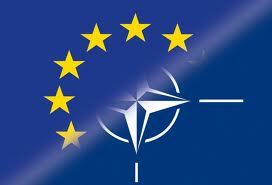 June-September 2003 (Operation Artemis) EU Military Operation in the Democratic Republic of Congo was first military operation without assistance of NATO and key step in developing ESDC (CFSP) where France was “lead” EU Member State. December 2003-December 2005 (EUPOL Proxima) EU Police Mission in Macedonia follow on fom EUFOR CCONCORDIA. July 2004 (EUJUST Themis) EU Rule of Law Mission in Georgia to support Georgian authorities in challenges to the criminal justice system and reform process. August 2004-February 2005 Eurocorps lead NATO mission ISAF in Afghanistan. December 2004 (EUFOR Althea) EU Military operation in Bosnia and Herzegovenia. 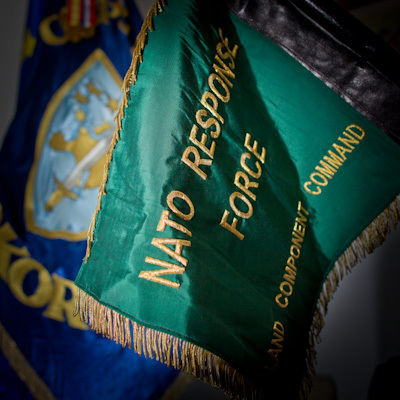 Transfer of power from NATO’s SFOR which was to see Dayton agreement was carried out. April 2005-June 2007 (EUPOL Kinshasa) EU Police Mission in Kinshasa, Democratic Republic of the Congo, to set up Congolese Integrated Police Unit. June 2005 (EUSEC RD Congo) EU Security Sector Reform Mission in Democratic Republic of the Congo. September 2005-December 2006 (AMM) EU Monitoring Mission in Aceh, Indonesia of implementation of the peace agreement between the Government of Indonesia and the Free Aceh Movement (GAM). December 2005 (EUBAM) EU Border Assistance Mission to Moldova and Ukraine. December 2005 – June 2006 (EUPAT) follow on from EU PROXIMA in Macedonia 2005. January 2006 (EUPOL COPPS) EU Coordinating Office for Palestinian Police Support for civil police, security sector reform and criminal justice. June-December 2006 (EUFOR RD Congo) EU military operation in support of UN mission MONUC during elections. June 2007 (EUPOL Afghanistan) EU Police Mission to Afghanistan to last at least three years. July 2007 (EUPOL RD Congo) Established as successor to EUPOL Kinshasa. This country has large deposits of untapped raw materials. February 2008-September 2010 (1) EU Mission in Support of Security Sector Reform in Guinea-Bissau. October 2008 (EUMM Georgia) EU Monitoring Mission in Georgia. December 2008 (EULEX Kosovo) EU Rule of Law Mission in Kosovo after 2008 Kosovo declaration of independence. March 2008-March 2009 (EUFOR Tchad/RCA) EU Military Bridging Operation in Chad and the Central African Republic MINURCAT in deployment of 3,000 troops to protect refugee camps with UN who then took over. Chad has large oil reserves which are shipped out via a pipeline. February 2009 Treaty of Strasbourg legalises eurocorps as rapid reaction force in conjunction with NATO. The text was originally signed in Brussels in November 2004 by Germany, France, Belgium, Spain and Luxembourg. May 2010 (EUTM in Somalia) EU Training Mission in Uganda to “strengthen Somalia’s security forces”. Fishing off the coast has been wrecked by factory fishing vessels based in the EU. Fishermen have had to resort to pirate activities. 2011 (EUFOR Libya) EU military operation in Libya Proposal agreed by European Council to send ground troops into Libya to back up air offensive but not carried out. July 2012 (EUCAP NESTOR) EU Regional Maritime Capacity Building for the Horn of Africa and the Western Indian Ocean. This covers area of key shipping lanes. July 2012 (EUCAP Sahel Niger) EU “Capacity Building in Niger”. Niger has large uranium deposits. October 2012 The EU foreign ministers are considering sending a military mission to Mali to re-conquer rebel held north. An attempt to form a European Defence Community in 1954 was rejected by the French National Assembly. Soon after this the Western European Union (WEU) was formed by amending the Treaty of Brussels. 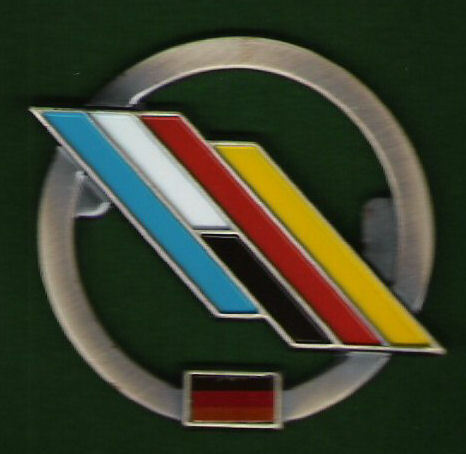 This military institution was a political step which enabled Italy and West Germany to join the WEU and opened up authorisation of West Germany’s rearmament. On 5 May 1955 West Germany joined NATO despite widespread opposition, including demonstrations in Britain and USSR objections. On 14 May the Warsaw Pact was formed as it was clear that NATO was lined up against the east and central European socialist countries. This pact was an alliance headed by the USSR. 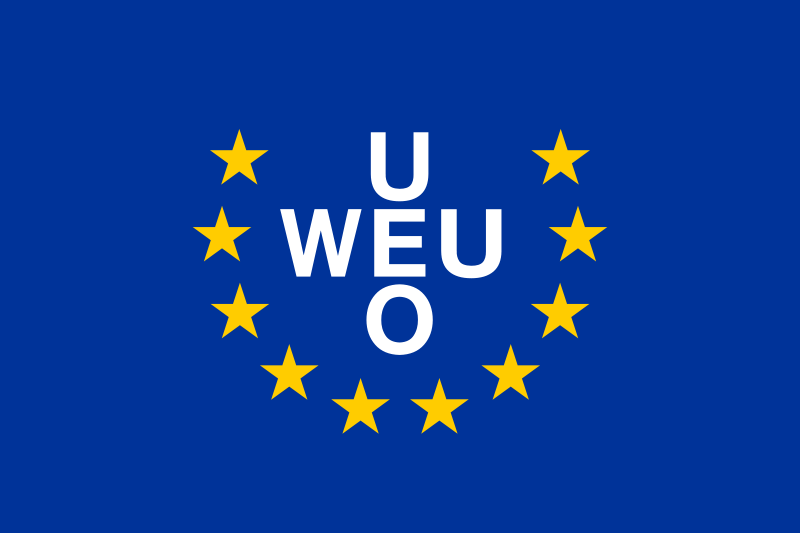 From around 1955 the WEU remained moribund as a political device to be dusted down, activated when required and used to advance the Euro-federalists objectives of “European integration” and a European Army. The WEU brought together member states in concerted military campaigns of some Common Market members. Since the end of the cold war, WEU institutions and tasks have been folded into the EU’s Common Foreign and Security Policy. This was legalised with the inclusion of a “solidarity clause” in the Lisbon Treaty. The WEU treaty was terminated in 2010 and defunct in 2011 but with the original objective of a European Army in place.